Imagine it's 2024 and you're visiting Los Angeles for the Games of the XXXIII Olympiad. Now imagine that you're a visitor from Kazakhstan. What would you do? Where would you stay? What would you eat? Every year, Los Angeles welcomes tens of millions of visitors from around the world. No matter what country you're from, this amazing global metropolis will make you feel at home, while it also introduces you to new and exciting experiences. Kazakhs are historically a nomadic people, and thus many of their cultural symbols reflect nomadic life. Located in the heart of Downtown L.A.'s Historic Core, the NoMad Hotel will be an ideal home base for Kazakh visitors during the Olympic Games. Sydell Group, which opened The Line Hotel in Koreatown in 2014, will open the NoMad in November 2017 in the historic Giannini Building, which opened to much fanfare in 1923 with towering columns, golden ceilings and marble floors. 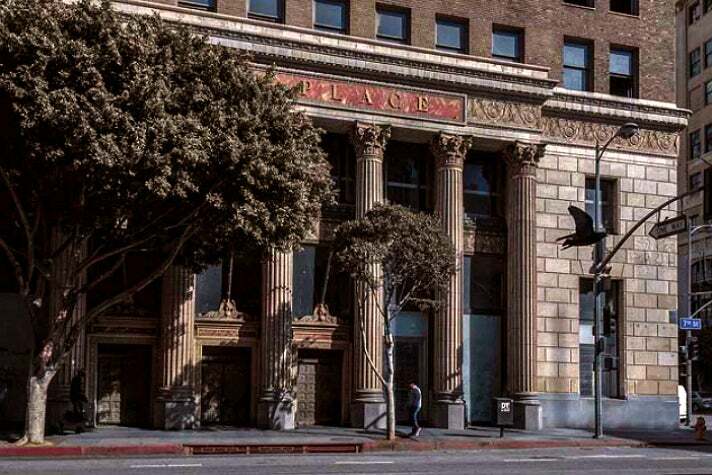 Designed by renowned L.A. architects Morgan, Walls & Clements, the NoMad will be an opulent revival that showcases the building’s powerful and imposing exterior and its lavish and intricate interior. Plans call for 250 guest rooms and a rooftop pool with panoramic views of the city. 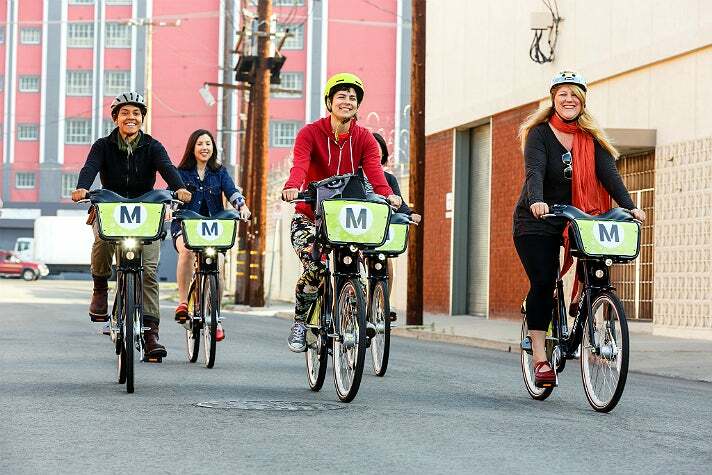 Cycling is a very popular activity in Kazakhstan, so using Metro Bike Share will feel very familiar to Kazakh visitors and offer a convenient, car-free option to explore Downtown L.A. The foundation of the Kazakh culture is hospitality, which always starts with a cup of tea. Our visitors can start the day with tea and pastries at the American Tea Room in the Arts District. Located on Santa Fe Avenue just steps away from Bestia and Stumptown Coffee, this first of a kind tea experience serves as a retail shop, tea lounge, restaurant, cafe, and bar. 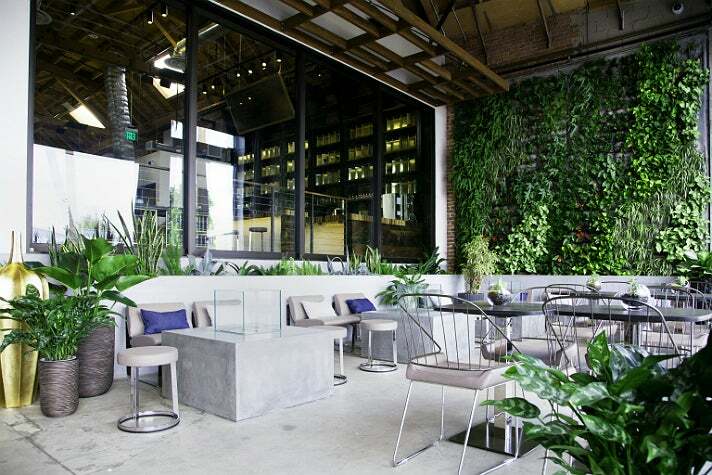 Kazakh visitors can sip tea on the patio under a 25-foot living wallscape or inside the beautiful tea lounge, which features a 30-foot bar made from 11,000 pieces of reclaimed wood, and an interactive digital Tea Zone. Islam is the largest religion in Kazakhstan, followed by Orthodox Christianity. The Islamic Center of Southern California is a mosque and Islamic cultural center located in Koreatown on Vermont Avenue, adjacent to the Chinese Consulate General. It is one of the largest mosques in Southern California, with thousands praying there every Friday. Since 2001 the center, along with mosques across Southern California, has been hosting an Open Mosque day in which non-Muslims can visit the mosque for a tour and ask questions. 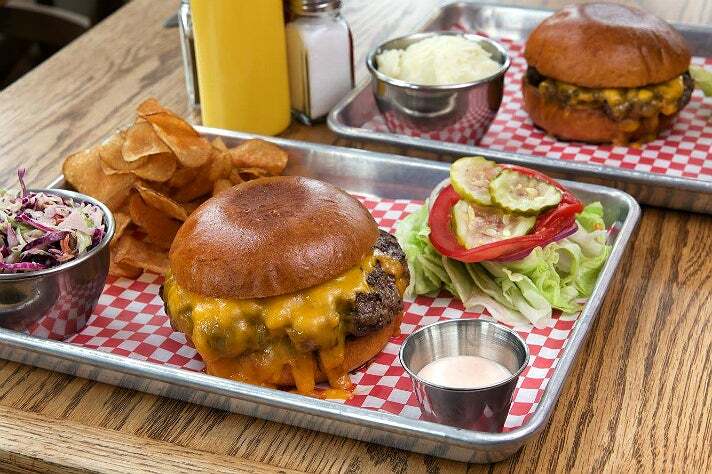 After mid-morning prayers at the Islamic Center, enjoy an all-American lunch at Cassell's Hamburgers, a retro-themed dining spot in the nearby Hotel Normandie. Besides its famous burger, Cassell's serves a killer patty melt and offers breakfast, a coffee bar, house sodas, shakes and a full bar. Horse riding is another integral part of ancient Kazakh culture. 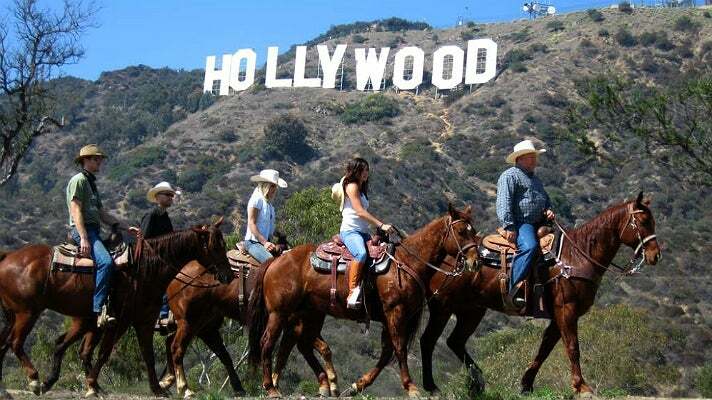 After lunch, spend the afternoon enjoying a horseback ride at Sunset Ranch Hollywood, which offers a one or two-hour guided tour through the hills of Griffith Park. Another option for horse-loving Kazakh visitors is the Autry Museum of the American West, also located in Griffith Park. The Autry features world-class galleries filled with Native American art and artifacts, film memorabilia, historic firearms, paintings, and more. The Autry’s collection of more than 500,000 pieces of art and artifacts includes the Southwest Museum of the American Indian Collection, one of the largest and most significant collections of Native American materials in the U.S. Throughout the year, the museum also presents a wide range of public events and programs, including lectures, film, theater, festivals, family activities, and music. Kazakhstan is the ninth largest country and largest landlocked country in the world, spanning one million square miles - the equivalent of Western Europe. Modern Kazakh world travelers will love the panoramic city views and gorgeous sunset at OUE Skyspace, California’s tallest open-air observation deck. Located nearly 1,000 feet above the city at the iconic U.S. Bank Tower in Downtown L.A., OUE Skyspace LA honors the culture, community and people that make Los Angeles unlike any city in the world. The highlight of OUE Skyspace LA is Skyslide, a first-of-its-kind outdoor glass slide that’s attached to the exterior of the U.S. Bank Tower. The Skyslide is 45 feet long, about four feet wide and made entirely with 1.25-inch glass. Visitors can glide from the 70th to the 69th floor of the U.S. Bank Tower and see L.A. in a way that few will ever experience. Afterwards, have a pre-dinner cocktail at 71Above, a stunning restaurant, bar and lounge that features the elevated modern American cuisine of Chef Vartan Abgaryan. 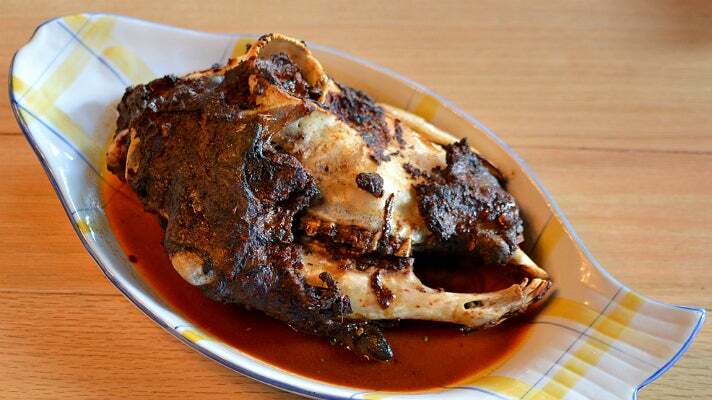 In rural settings, it's a sign of respect in Kazakhstan to offer the most honored guest a boiled sheep's head on a beautiful plate. Lamb is a staple of Kazakh cuisine - for dinner, Downtown L.A. options include the endless meat skewers at Fogo de Chao and the showstopper lamb cabeza at Broken Spanish. The most popular sport in Kazakhstan is football (aka soccer) - in fact, the country has expressed interest in bidding to host the 2026 FIFA World Cup. For Kazakh visitors, watching a soccer match at Los Angeles Football Club Stadium is sure to be a highlight of their Olympic Games experience. 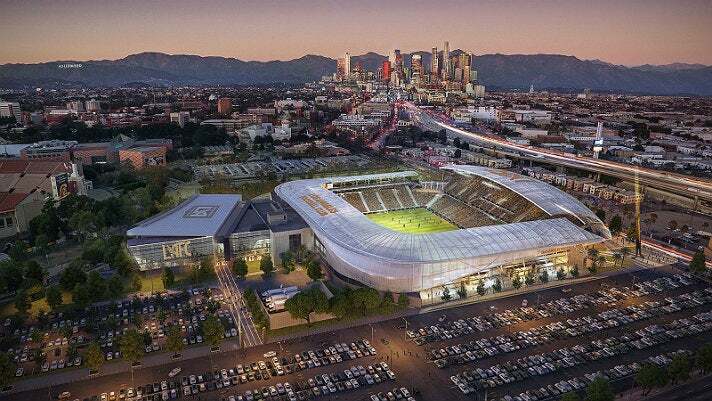 The 22,000-seat soccer-specific LAFC Stadium will include restaurants, retail, and conference space. The population density is low in Kazakhstan, and the centers of industry and agriculture are spread out and remote from world markets. Most cities in Kazakhstan are connected by railroad - high-speed trains go from Almaty (the southernmost city) to Petropavl (the northernmost city) in about 18 hours. After the soccer match, have a nightcap at Westbound, a stylish lounge located at the massive One Santa Fe complex in the Arts District. 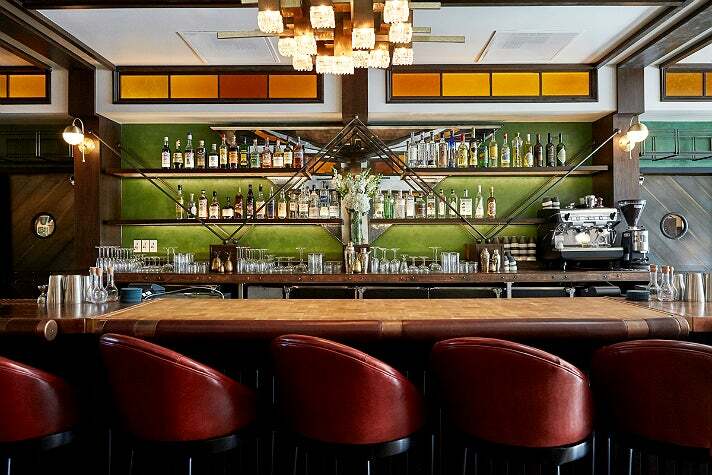 The design evokes luxury railcars of the past and present with dark wood, stained glass and vintage bar stools. The drink menu features classic and signature cocktails with train-inspired names like The Conductor and the Boxcar Cobbler.